Here’s a little story about my journey to becoming a Model X owner. I started my search for a new car roughly two years ago to replace my aging Acura MDX SUV. Gas prices were at an all time high back then and having a monthly expenditure of $600 for transportation was something I could surely do away with. I did my fair share of research on hybrids in hopes I would eventually choose one as a replacement car, but ultimately dismissed them as an alternative due to the complexities of the powertrain. That was until I ran into Tesla and its Model X. The rest was history. I finally narrowed my search among hybrids and EVs to Tesla’s Model X. The Model S was already available for order at the time and the Model X was still coming soon. I’d driven SUVs for the last 14 years and had an affinity towards them. Needing to survive through the New England winters, while living on a farm with an expanding family, naturally skewed my pursuits for a SUV as it seemed to be the right fit for my lifestyle. 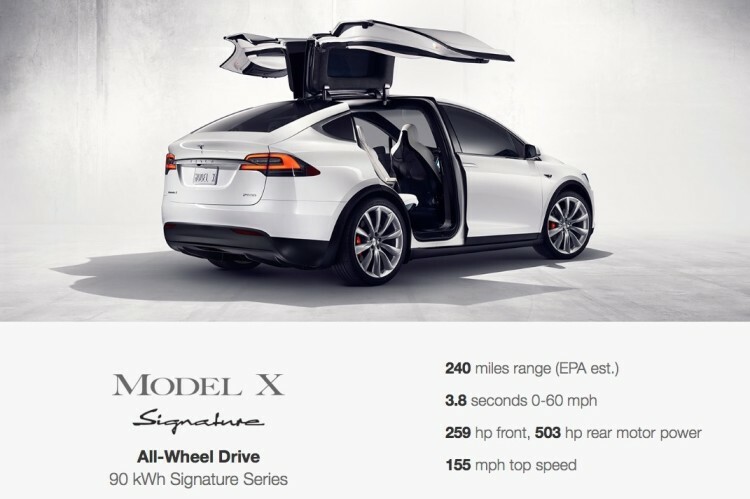 Although I had already fallen in love with the Model S, I managed to curb any desires to purchase one and waited patiently on the Model X through much of the second half of 2013 and early 2014. 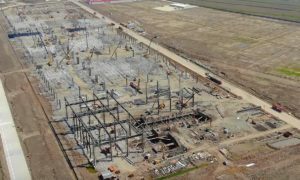 That was until the Model X delivery estimate began to slip from “early 2014” to “late 2014”, and then again to “second quarter 2015” (it would be postponed yet again later on). I eventually got the hint that the Model X wasn’t going to roll off the production line anytime soon. To make matters worse, my aging SUV was surpassing 200K miles and my kid was becoming of driving age and was to receive the hand-me-down SUV. Must have plenty of room for carrying around luggage, sports gear, bikes, farm stuff, etc. I left off the need to have a towing package on my must-have list because in my seven years and 200k miles of ownership on the Acura MDX, I never used its built-in towing capabilities once. 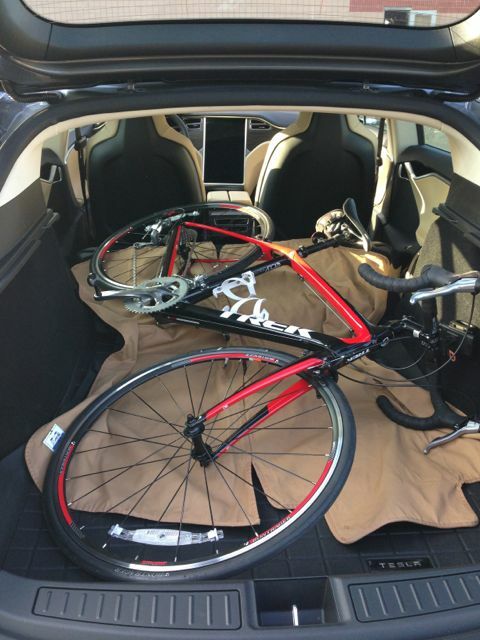 The MDX had more than ample space for bikes, which I would place inside the car, and roof mounted equipment using the roof rack. I watched countless Bjorn Nyland videos and ones from Tesla, so much that I was thoroughly convinced that the Model S (real wheel drive was the only option at the time) could be driven in the harshest of winter environments. My thoughts around owning a seven seater started to dissipate. When my daughter was young, I would haul her and a pack of her friends around in a seven passenger vehicle. But as she grew up and no longer needed rides other than for a few close friends and her boyfriend (sigh), having a vehicle to seat seven became less of a requirement. And for that reason, I forewent my Model X and ordered the Model S instead during March of 2014. That turned out to be one of the best decisions I’ve ever made in life. Despite being happily committed to my Model S as a relatively new owner, I still couldn’t stop myself from thinking about the Model X and ultimately ended up putting down a reservation for one once the Design Studio became available. I had convinced myself that a SUV is what I really wanted from the get go. Perhaps I’d trade my Model S in for the X but I still had time to figure that out. I had also justified placing a deposit on the Model X because my wife’s SUV, a ML 350 diesel, was starting to experience a lot of mechanical and maintenance issues despite being only 20K miles old (we bought it used). I figured that the X would serve as a great replacement vehicle because frankly I was sick of maintaining her SUV. 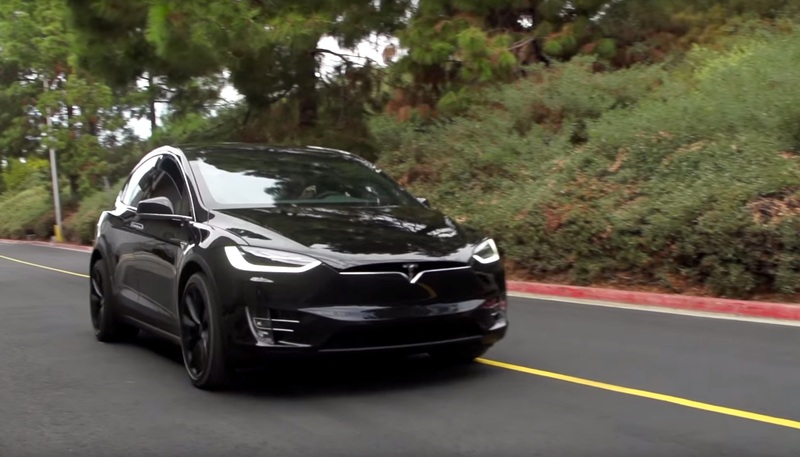 Nearly two years after I was introduced to the Model X online, I finally witnessed its unveiling, along with the rest of the world, via the Model X online test drive videos. The reactions to it seem generally mixed according to friends that attended the Model X launch event. Don’t get me wrong, the Model X is an amazing and transformative vehicle, but to me I felt that I could not obtain much utility from it over what my Model S is already capable of providing. 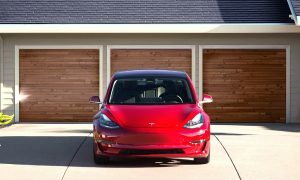 Sure I’d love to have all wheel drive, autopilot, and being able to open falcon wing doors in tight parking spaces, but even those features aren’t radically different than newer versions of the Model S, less the falcon wing doors. 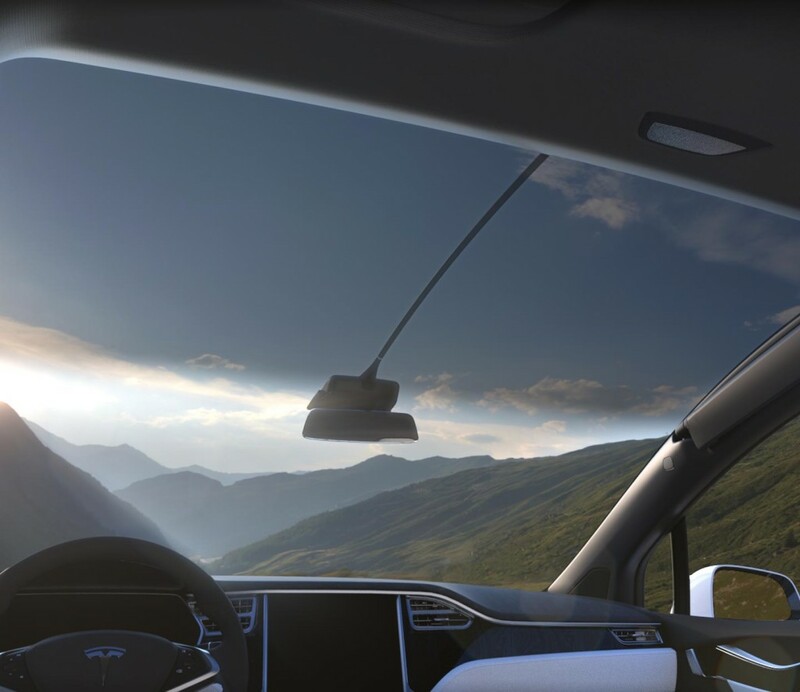 The Model X panoramic windshield is cool although I’m not sure I’d welcome that much sunlight on me while driving. The ‘bio weapon defense mode‘ seems gimmicky to me and a feature that feels cooler to talk about than it would live out in the real world. 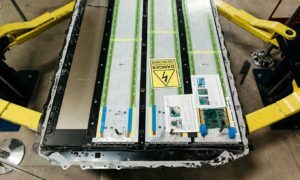 The falcon wing doors are amazing and unique but I can’t help but think that its complexity will lead to long term maintenance problems for Tesla. And after all the challenges faced with creating the rad falcon wing doors, they compounded difficulties by creating auto opening front doors. And what about the active rear spoiler? Why is it deployed in all pictures? Will it ever retract? 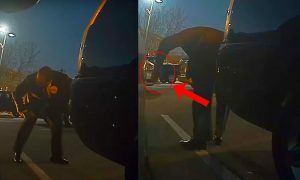 What surprised me the most during Elon’s 30 minute presentation on the Model X was the amount of time he spent describing the vehicle’s safety rating and air filtration capabilities. Compare this presentation to an Apple product launch event that’s typically packed with detailed specifications and you’re left feeling a bit underwhelmed. 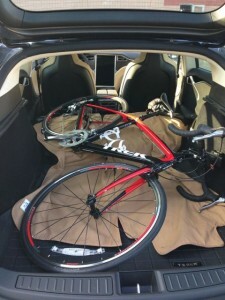 Does anyone know the cargo room for the Model X? How wide is it? How tall? How long? 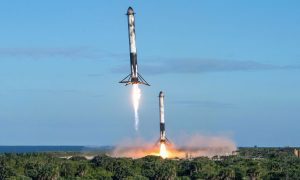 What is the max height of the falcon wing doors? Do all the seats fold flat? A car that costs over $132,000 shouldn’t have details as vague as they are. We caught glimpses of Firmware 7.0 features on the Model X, but there’s still no official word from Tesla that a new interface will be launched with the Model X. Electric vehicles are the future and Tesla is clearly leading the way in this new vertical. From the Roadster, to the Model S, and to the Model X, Tesla continues to innovate and redefine what an automobile should be like. While I still have my Model X reservation, I want to know a lot more about it, touch it and maybe even drive it before I decide on the fate of my reservation. Fortunately, my wife’s SUV started behaving as of late, and I’m also very happy with my Model S. Now is probably not the best time for me to pick up a new Model X, but I can easily see a day when all my cars will be electric powered — and made by Tesla.